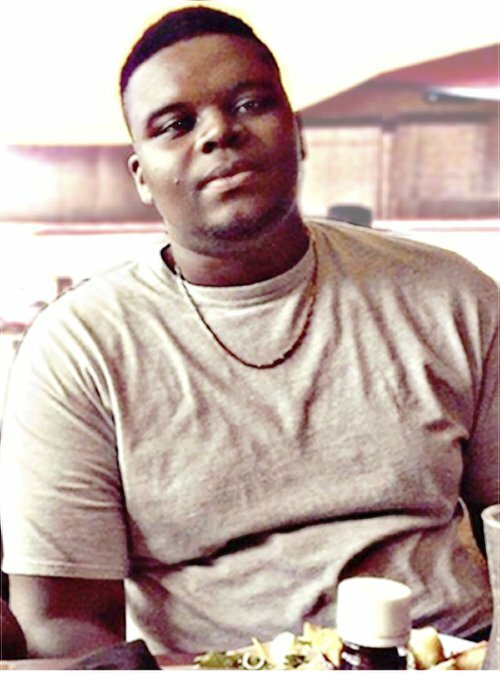 Slain 18-year-old Ferguson, Mo., resident Michael Brown was laid to rest on Aug. 25. The funeral was a local and national event with thousands in attendance. Brown was killed by white police officer Darren Wilson on Aug. 9 while he walked through the streets of his neighborhood. His brutal death from six gunshot wounds fired at close range sparked immediate mass demonstrations in Ferguson that have continued for over two weeks. The protests and rebellion in Ferguson highlight the growing intolerance for police repression among African-American working-class youth. In response to the unrest in this suburb outside St. Louis, tens of thousands more have gathered in solidarity in cities across the U.S.
Police and government responses to the demonstrations in Ferguson are designed to violently suppress dissent. 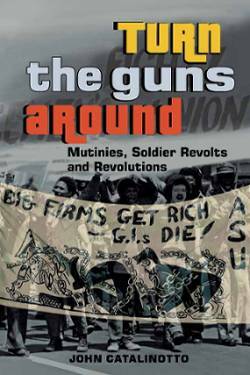 Military equipment and law-enforcement deployment tactics used in this majority African-American town of 21,000 resembled those utilized in Afghanistan, Iraq, Somalia, Palestine and other regions of the world where U.S. imperialism is seeking directly or indirectly to oppress and exploit the people. On Aug. 19, police set off tear gas and pepper spray, while firing bean bags and rubber bullets into a crowd of several hundred peaceful demonstrators. Journalists were told to leave the area, and dozens of people were arrested. Police reports fed to the media about the destruction of private property were designed to provide a rationale for the heavily militarized police response to the demonstrations. Despite these claims or suggestions that the demonstrations in Ferguson were being instigated by so-called “outside agitators,” arrest records revealed that most people who were detained were from the area. Those who were suspected of being from other cities were deliberately targeted by police for arrests and beatings. Several journalists were also gassed and arrested during the course of the first two weeks of demonstrations and rebellion. A no-fly zone was declared over Ferguson in efforts by the authorities to prevent aerial news reports about unrest in neighborhoods and business districts. Johnson of the State Highway Patrol was ostensibly designated in charge of the law enforcement deployments in Ferguson. He was said to have come from the town, and would utilize a less aggressive form of policing the community. After several days of continuing demands that Officer Wilson be indicted and arrested for killing Brown, however, it became obvious that Johnson was not really in control. Gov. Jay Nixon ordered in the National Guard and attempted to minimize potential political damage that would hamper his much talked-about aspirations to run for vice president of the U.S. In his efforts to justify the daily brutality by the cops, Johnson told CNN on Aug. 19 that “officers came under heavy gunfire during the night,” but said they did not fire a single shot. They “acted with restraint and calm,” he said. Johnson blamed a group of “lawbreakers” and “criminals” for the violence. Yet there was no condemnation from Johnson of the criminality of white police officers shooting down African-American youth. The official line coming out of Ferguson was geared toward covering up the crimes committed against Brown and others seeking justice by manufacturing a so-called “criminal” element that posed a more immediate danger. Although the officials in Ferguson have stated repeatedly that Officer Wilson’s record was clean, it surfaced on Aug. 23 that he had been a member of a nearby police force that was disbanded due to reports of racism and corruption. Wilson was employed in the Jennings, Mo., police department when all 45 officers were fired. Racist support for police brutality and terrorism against African Americans is being further revealed by a campaign that is holding demonstrations and raising funds for Wilson. Polls reflect that many whites in the U.S. still do not understand the implications of racist state violence directed against people of color communities. Despite that investigation, the police killing of African Americans and other oppressed people is continuing in the U.S. and even in the state of Missouri. In nearby St. Louis, an African-American man, Kajieme Powell, was gunned down on Aug. 19, less than two weeks after Brown’s death. The fact that these developments are occurring with the national and global spotlight focused on this region of Missouri proves that the struggle against racist state violence must be led by the African-American people and their allies. These forms of repression derive from the necessity of the ruling class to maintain social and political control over oppressed nations whose youth and other age groups have no future under the system of capitalism. Only the mass organization and mobilization of the African-American people, in conjunction with other oppressed nations and their class allies, will provide any hope for the end to racist state-sanctioned violence. The capitalist system has historically relied on racism, utilizing mechanisms of coercion and control along with the division of the working class along racial lines, to maintain the exploitative system. Consequently, the struggle to end racism takes on a class dimension in undermining the material basis for national oppression and for the construction of a socialist society.